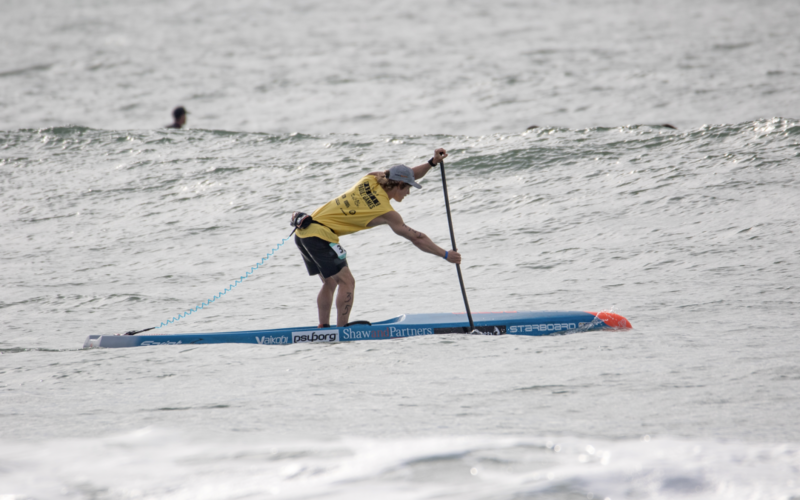 Whilst Michael Booth is these days profoundly recognised for his outstanding SUP racing skills, he enjoys returning to the roots of where his career first begun – on a surf ski. That being said, last weekend Boothy did just that, taking out the win in a local ski race of 20km in his hometown of Perth, Western Australia. Booth expressed that it felt “awesome to get back on the ski” after an extended period of time had passed since his last ski podium finish. Booth was expecting to race in San Francisco in the Red Bull Heavy Water Event last week, however the limited swell restricted the competition from taking place. “It was a shame to have not seen the Heavy Water take place again this year, although the competition is prestigiously known for its monstrous swell and without that component it really wouldn’t have lived up to its name”. 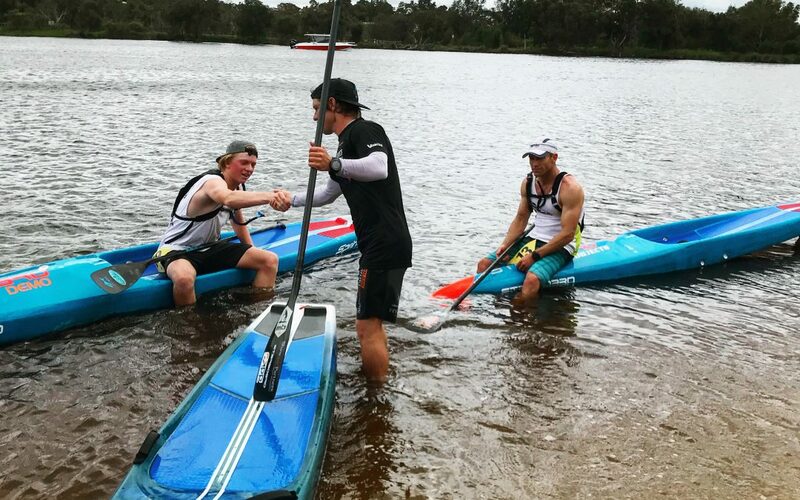 Michael Booth took out the win last weekend in the SUP WA 20km marathon event held at Ascot kayak Club on the Swan River, Perth. The SUP central flat-water event is known as one of the best foundation races for paddlers to compete in prior to King of the Cut held in early December. Whilst Booth is at present in the stage of patiently awaiting the call up to compete in the Red Bull Heavy Water Event in San Francisco, Michael said, there has been no time to put other training on hold approaching a busy end to the season. “While Heavy Water is my focus and will be my next challenge, it has been important to keep my endurance and distance training up to speed for other events I have coming up towards the back-end of the year”. 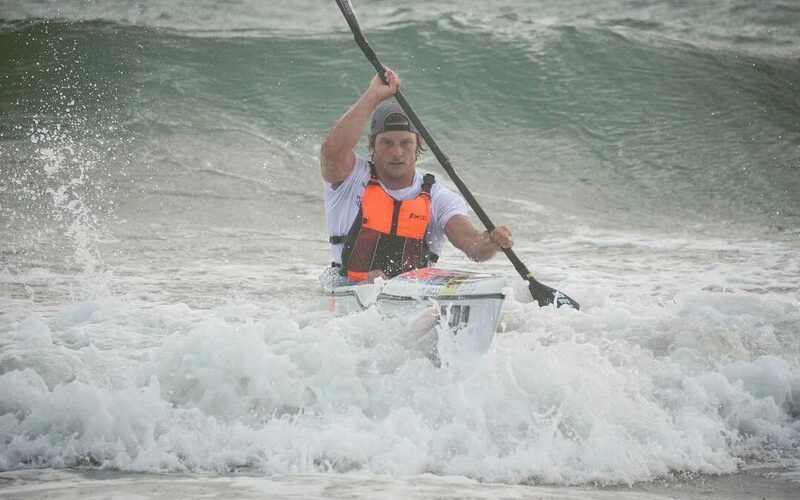 Michael Booth finished 4th overall in the Pacific Paddle Games last week which tests athletes endurance and technical skills over the two day event. 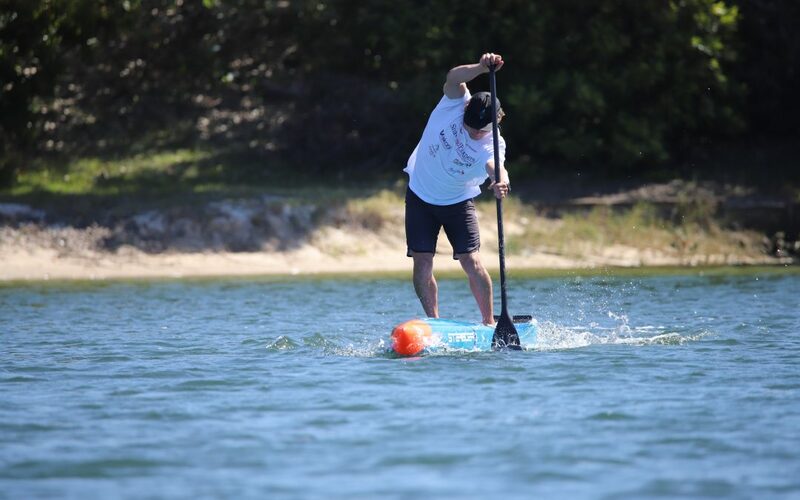 Known as the Super bowl of SUP Racing, the PPG competition brings together the world’s best paddlers to compete for victory in the prestigious race, this year seeing over 400 competitors across the elite and amateur divisions battle it out. “The competition was really tough, and although I didn’t have my best races, I know I couldn’t have done any more on the day,” said Booth. Michael Booth took out the win in last weekend’s Battle of the Bay held in San Francisco. A seven-mile race in picturesque San Francisco saw Michael back in his best form, determined and ready to take out the win. 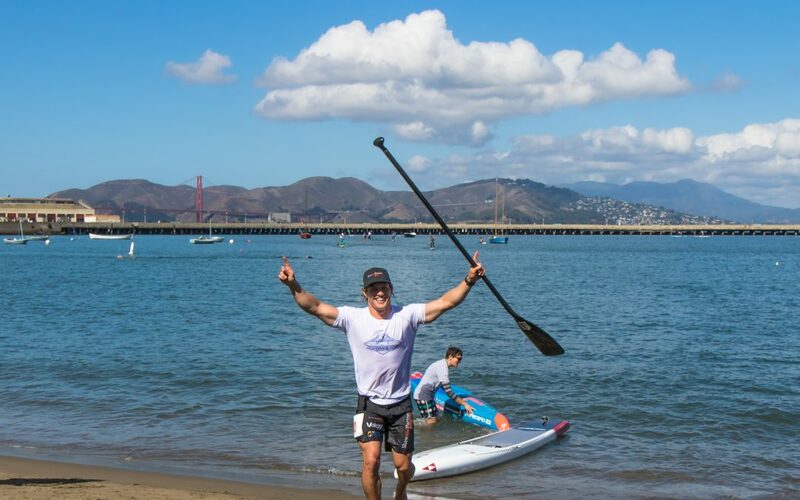 Starting in Ghirardelli Square and racing around the Golden Gate Bridge, this SUP race really is one of the special events on the world stage..
Whilst it may not have been the renowned results that Michael Booth had hoped for in the second stop of the APP World Tour, Booth says he will walk away having sure learnt a lot. Prior to the race held in New York, Michael had travelled for two days and in over 12 different time zones. Hoping that he might have planned his stopovers and time differences well, however later realising he probably pushed his limits. “Coming into the weekend, I knew it was going to be a tough one. I had been working on clinics in Dubai and Annapolis and whilst this was a great experience, I probably shouldn’t have expected to race my best off the back of these,” Booth said. The APP World Tour presented an opportunity like no other this year, giving SUP Paddlers from all across the globe the opportunity to race in one of the world’s most iconic landmarks making it a showcase event that attracted a large crowd of both competitors and spectators. Australian Michael Booth will race in New York City this weekend for stop #2 of the APP World Tour. Taking on the best SUP athletes from across the globe and showcasing their talents in one of the most iconic cities in the world. 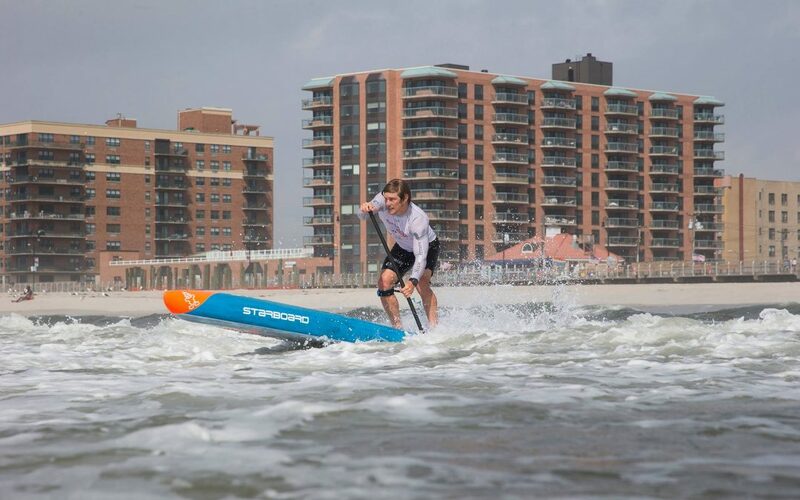 This years APP World Tour is proving to be one of the best yet, with the next race being a 10km paddle starting from North Cove Yacht Harbour on the Hudson River on Saturday the 15th September. With focus shifting on the USA leg of the year, Booth says he is feeling confident and headstrong heading into this weekends challenge.